First-person shooter games such as Counter Strike are very popular with children and birthday parties for kids these days. It is not uncommon for kids to spend hours playing such video games on their computers. But you can enhance their gaming experiences greatly by letting them play real-life shooting games. Laser tag participants shoot at each other using toy guns that emit infrared laser beams. When a player’s beam hits another player’s equipment, it disables the player and forces them out of action for a short period of time. But the beams themselves are completely harmless and no one get hurts playing. Players do not even have to wear protective gear like they do in games such as paintball. You can play laser tag both outdoors and indoors, and in a variety of places. This means that if it is raining or snowing, you simply move the game indoors. If you live in or near a large city, you will find many places that have been specifically set up to play laser tag both indoors and out. Many parents worry about their children not being active enough. Instead of having them spend their days sitting in front of a computer screen, laser tag gets them out of the house and moving around while providing the same amount of fun a computer game provides. Playing laser tag provides your child with lots of cardiovascular exercise, as they do plenty of running while playing the game. This could significantly improve your kids health, by making them stronger and leaner and more resistant to diseases such as colds and the flu. It is difficult for your kids to make friends if they spend their days at home in front of a computer. At laser tag games, children have the opportunity not only to play but to develop friendships with other children their age. Playing laser tag can also improve your children’s social skills, which can help them make friends more easily even when they are not playing laser tag. 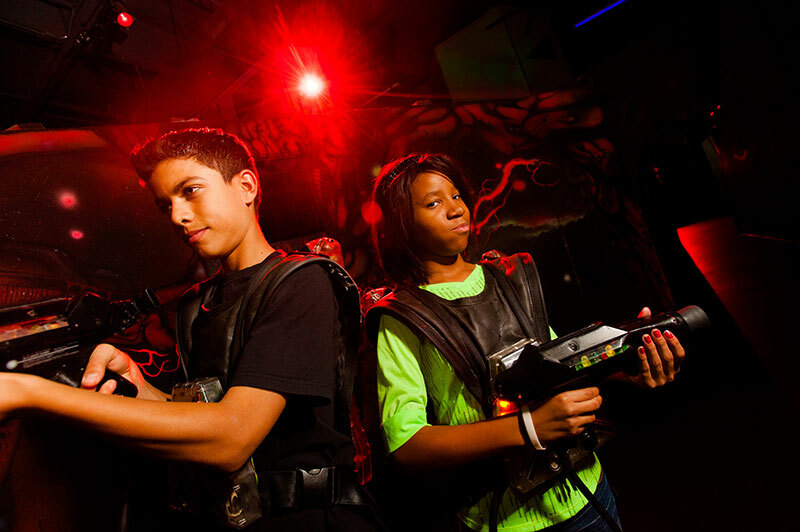 Playing laser tag can further improve your child’s confidence in social situations. Learning how to function within a team is an important skill that will benefit your kids throughout their lives. Laser tag helps develop these skills by requiring children to work as a team to accomplish a specific goal or enjoy a birthday party. Playing laser tag also discourages selfishness, as children see firsthand how such behavior is detrimental toward accomplishing something. Instead, they will see how putting the team first benefits not only the team but leads to personal success as well.